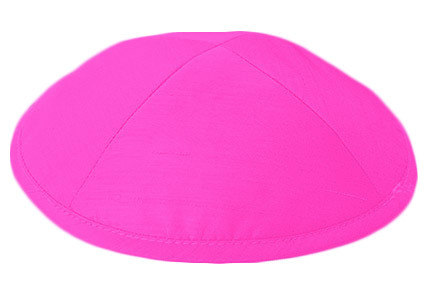 Our all new kippahs made out of textured RAW SILK are elegant and stylish. They are custom handmade and fully lined. Each kippah is made of 4 panels.We personalize the kippahs at no extra charge with a minimum order of 5 dozen. These exquisite raw silk kippahs also have a button hole on the inside lining of the kippah, for the kippah clip to be inserted. Kippah clips are sold separately.Sold by the dozen only. Minimum order of 5 dozen or more for this price. For orders of less than 5 dozen there is an $18.00 set up fee for printing.